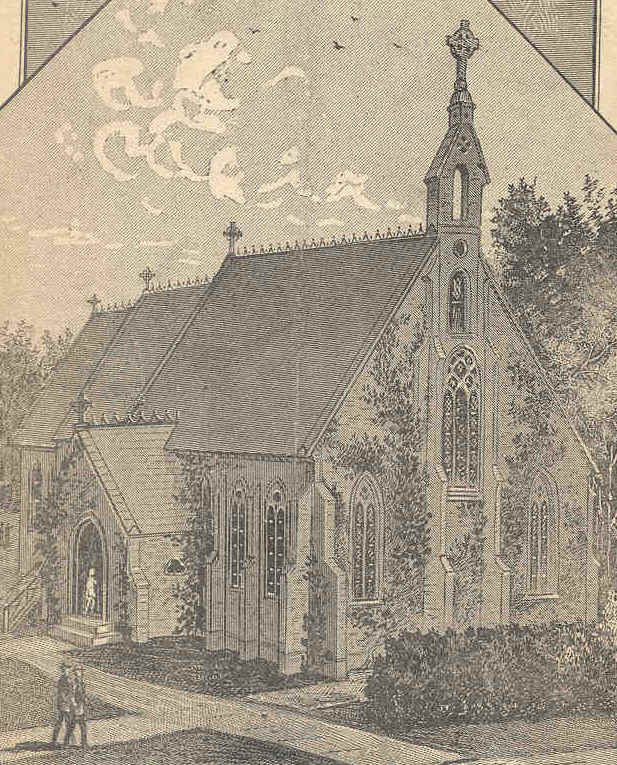 By 1887, the sacristy had been added to the rear of the Chapel. This necessitated cutting a door in the rear wall of the Chapel. In 1895, the Chapel still had the bell tower. The passageway to the Seminary building (Presidents Hall) had not yet been constructed. When it was built, it necessitated the removal of the window nearest the front of the Chapel facing the Seminary (Presidents Hall). We have no record of the designer or the builder of the sacristy, nor do we know the date of construction. However, it resembles the passageway built later. The cut of the stone and the design of the window frames are identical. 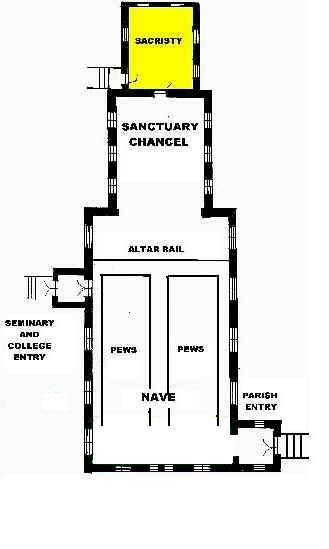 The Sacristy is the new area (in yellow) at the rear of the Chapel, the choir and organ loft in the front (in green). The Chapel and sacristy today. 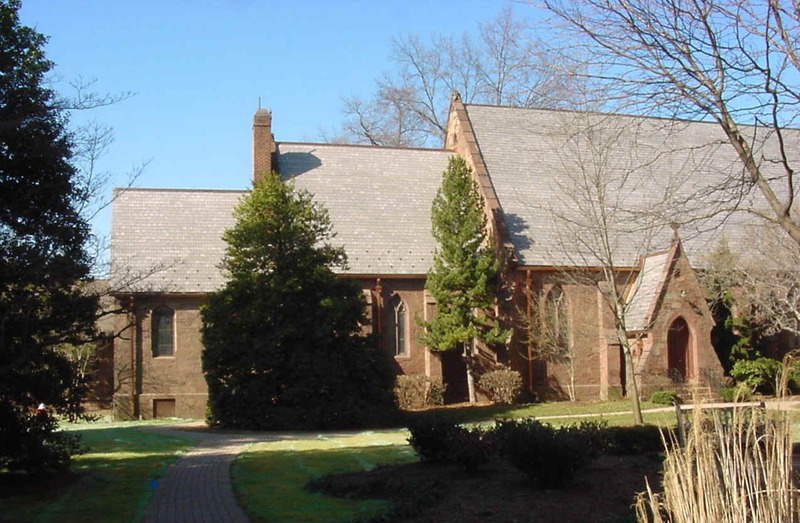 In 1883, Alumni Hall (Today the Chapel and Administration Building of Immaculate Conception Seminary School of Theology) was completed behind the Chapel and the Seminary Building. (It is on the right in this photograph.) Together with the College building, they formed a quadrangle that is enclosed today. The Chapel with tower and sacristy (added to the rear wall) is clear in this photograph. The Chapel would not long remain freestanding as it had been from 1863. This postcard (ink marks from a canceling machine are visible in the upper left) shows workers resting or about to begin working. It is the earliest photograph that clearly shows the original design of the Chapel facade. Buttresses frame two small windows in the center. Diamond-shaped leaded glass is clear in the arched windows. The bell tower and the niche below it remain empty. There is no passageway on the left, rather an arched window. Each gable has a Celtic cross, including the rear gable. Change would soon transform the venerable building.